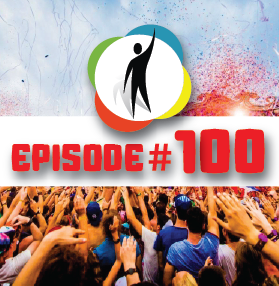 Let’s celebrate 100 episodes of RealLife Radio. Aww Yeah!!! For such a special occasion we are going to focus this podcast on telling the story of RealLife English, and how this whole movement started. From 2 roommates, to a community of over 120,000 English learners and speakers from all over the world, and plenty more exciting stuff coming in the very near future. We also wanted to give big thanks to everyone who has supported us and given us great feedback from the very beginning. Learn about the epic tale (classic story) of RealLife English and how we evolved from to friends who randomly started sharing an apartment, to creating a global movement of English learners and speakers. This conversation topic was suggest by a big RealLife English fan, an awesome member of our community, and a friend of ours, Rawda from Egypt. Thanks for all the support! Take a look at what some of our members from all around the world have to say about the RealLife English movement. Are you ready to get involved? Guys glad u made it!Congrats and of course it was such an interesting idea to talk about the way Reallife has grown. So i saw one of your posts and i was led to your website and 30 podcasts i guess. By the way, the very first podcasts i downloaded from your site was those three which were about 5 things u miss about Us, Australia&England 😀 and i said wow!here i can learn about everything! Nicely done. I appreciate for your big job, learn English through Real Life that's really awesome ,fun , natrually way. I wish you guys strong health on your big Way. "One positive thought in the morning can change your whole day". I’m just sad because Chad isn’t living in Brazil anymore. Chad, when will you come back? And.. Congratulations guys! I appreciate your job a lot! When I joined this group, I didn't joined just to learn English but also to live it . and it happened.. I have lived this Language every day with a lovely family I found and can say my second family , brothers & sisters…,,, and all this I owe to you my dear teachers who created this great group.. please keep it up ,, and as always I need your support.